151k players have played Quantum Moves (QM) so far, however, only 1,4% reached the level 23. It seems that moving atoms is not as easy it might seem from the start. 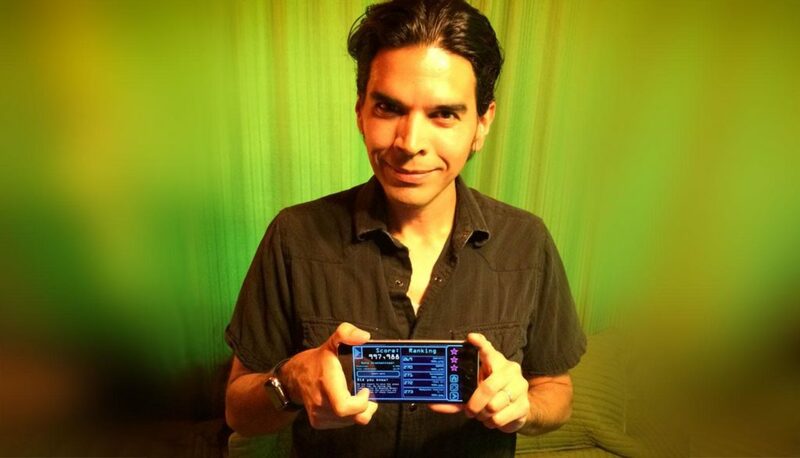 Joby Otero was one of the few who completed all QM levels. He also created a list of tips to help out his friends struggling with the game. We thought these were excellent points, so we reached out to Joby to find out more. It appears that Joby is not a newbie in the game industry. He has been affiliated with games, toys robotics, and AI for the last 25 years. He helped create toys of the future like Overdrive and Cozmo by Anki and was one of the creative minds behind Skylanders, a game by Activision. Joby is retired now and makes his own independent VR, AR and Toys to Life projects. So what does such game veteran think of QM? We asked him a few questions to figure out. What is your relation to Quantum physics? I've followed quantum physics and general relativity since childhood. I'm obsessed with understanding the way the universe works on the deepest level. Science inspires my creativity more than anything else. Next to da Vinci, my biggest hero is Einstein. Before I got into games, I considered focusing on physics. I decided on games because I like to entertain. But I still dream of helping to uncover some new insights in fundamental physics. How did you hear about QM? J: One of my game projects is physics-related. So, when I saw a post about QM, probably somewhere like Engadget or Gizmodo, I was instantly intrigued. Even more, when I read that playing would help the development of an actual quantum computer. What do you like about the QM game? J: First of all, it's a great subject matter. Secondly, helping science! Thirdly, the game has a good flow; the challenge ramps up nicely as the player's skill and understanding improve. It has a highly re-playable core mechanic. Lastly, I like how no frills presentation leads to quick re-play and allows to focus on the interesting mechanics based on real quantum science. QM manages to make an abstract concept fun, addictive and useful. How did you come up with the idea to share your insights with other players? J: I had already posted about QM a few times. Friends tried it, while others seemed confused. I thought some tips could help and give me another excuse to hype the game. I also thought I was getting pretty good and wanted to see if my friends could beat me - which they did. If you had to pick one tip for the QM players, what would it be? J: If the waveform decoheres sufficiently, it seems best to release and let it restart. That seems the fastest way to iterate and improve. There's a tendency to think the waveform will settle like water under gravity, but it doesn't work that way. Joby, thanks for your insights! We are very happy to have you among our players. Here is the original list of tips by Joby Otero. So, do you think you can reach level 23? 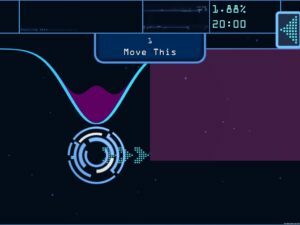 Download Quantum Moves on App Store or Play Store and give it a try! Hi, I’m stuck on level 23 and can’t even work out what the objective is… any chance of a hint? Thanks in advance, Simon.